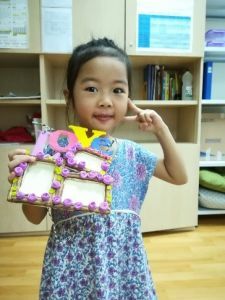 Nothing beats a gift that comes from the heart. 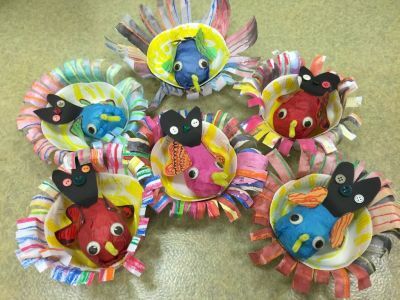 To honour all mothers on this special weekend, our art students personally hand-made gifts – to celebrate the ever-constant love of their mothers. 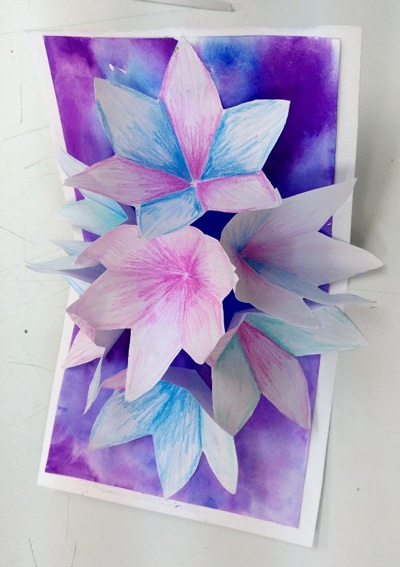 Our students’ masterpiece; a life-like pop-up card with beautiful blending of colours. 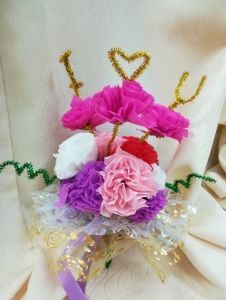 A flower bouquet for mothers like non-other! What’s a celebration without cakes? 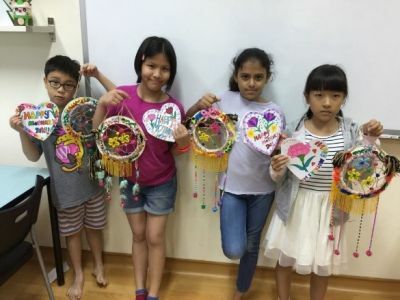 Under the guidance of our art teachers, students learn how to make a paper-craft cake. 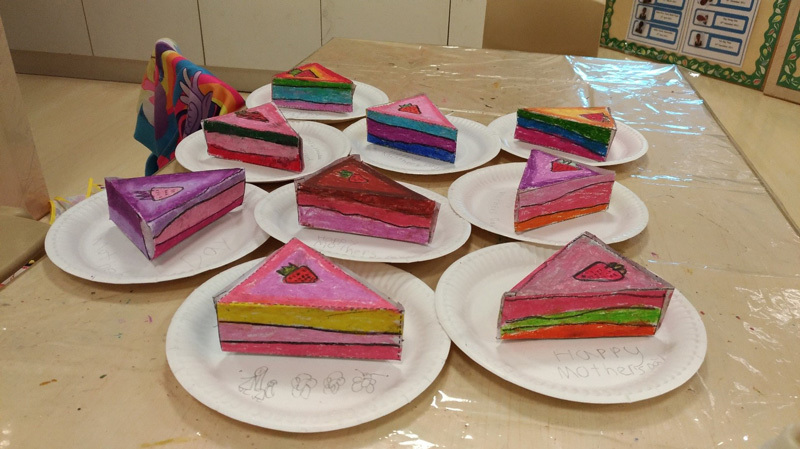 Given the freedom to let imagination run wild, they created their cakes based on their understanding of their mothers’ preferences. Looks good, don’t they? And without added calories! 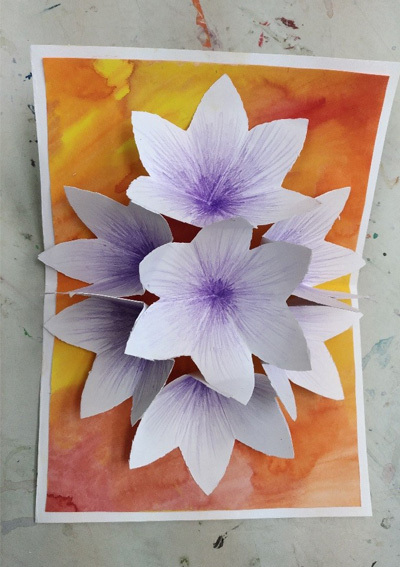 Lotus flowers – they exude beauty and grace. And that is exactly the message behind this art piece. 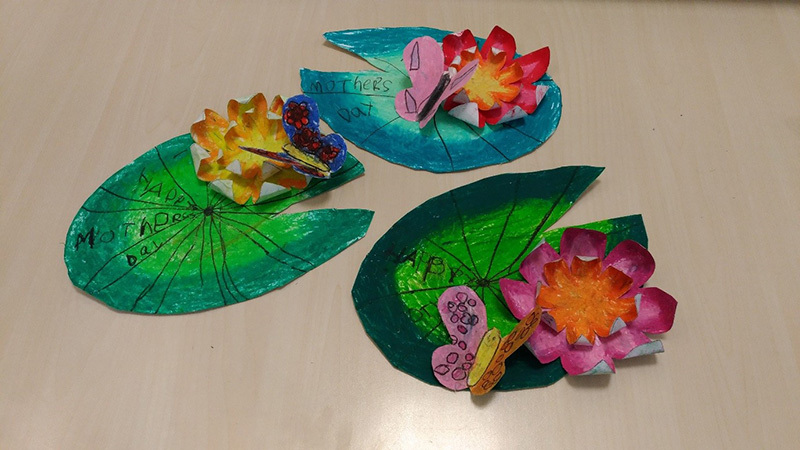 Students learnt how to make a 3-dimensional lotus flower by incorporating various techniques taught to them previously. Like a child always drawn to their mother, a butterfly was added to every lotus to perfectly complement this relationship. 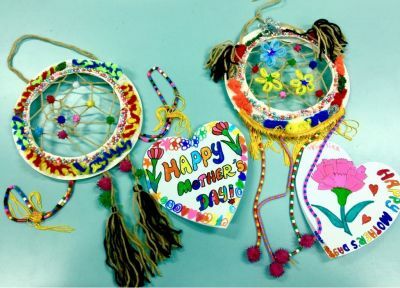 And here are more Mother’s Day pieces crafted by our art students, to show their gratitude and appreciation to their mothers on this special occasion. Gifts that make all mothers feel like they’re on the top of the world, are the ones created by their child, from their hearts. Here’s wishing all mothers, a very Happy Mother’s Day!